Tried every possible harsh chemical method to control blemishes at bay but the situation only worsened? 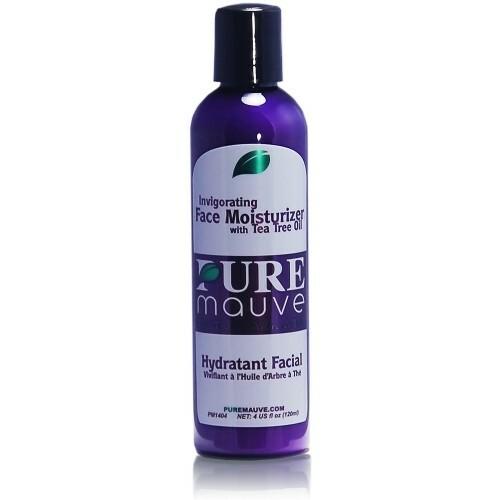 Then it's time that you try our Invigorating Face Moisturizer and allow the natural alternative to restore your natural beauty. The benefits of Tea Tree Oil have been known and loved for centuries. We've incorporated the purest and finest Australian Tea Tree Oil into our products to care for your skin. 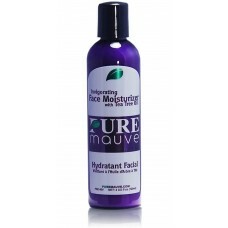 If you have been fighting futile battles with skin inflammation, it's time that you try our gentle, natural Invigorating Face Moisturizer. We've included vitamin E and a blend of botanical extracts such as shea butter, mango seed butter and grape seed oil into this gentle, nourishing moisturizer. They act as potent anti-oxidants to protect your skin against environmental damages. The light, creamy consistency soaks right through your skin after application. You don't have to worry about greasy, coating residues. 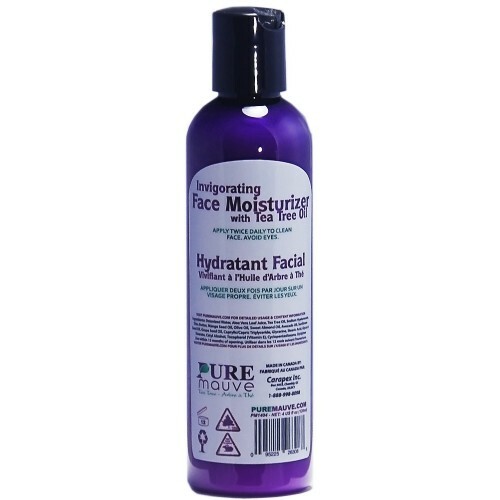 It replenishes your skin with beneficial natural oils and extracts to encourage your skin returning to its smooth, supple, glowing state. Do you know why some other clarifying lotions make your skin flaky, irritated and even more sensitive? One great factor is that there are harsh chemicals, parabens, and artificial fragrance in them. It might seem to clarify breakouts in a short period of time, but the damage to your skin is the price that comes with the temporary result. Our Face Moisturizer has none of those harsh, stinging elements, just the pure benefits of natural oils, extracts, and vitamins. Deionized Water, Aloe Vera Leaf Juice, Tea Tree Oil, Sodium Hyaluronate, Shea Butter, Mango Seed Oil, Olive Oil, Sweet Almond Oil, Avocado Oil, Sunflower Seed Oil, Grape Seed Oil, Caprylic/Capric Triglyceride, Glycerine, Stearic Acid, Glyceryl Stearate, Cetyl Alcohol, Tocopherol (Vitamin E), Cyclopentasiloxane, Optiphen, Carapex Moisturizing Complex.